An extraordinary room in the Hotel Diening is the traditional room of the 1920'th years. Affectionate restored this room can be used up to 40 persons. For congresses and celebrations it is a perfect location and by addition with the second saloon and the breakfast room it is extensible up to 100 persons. 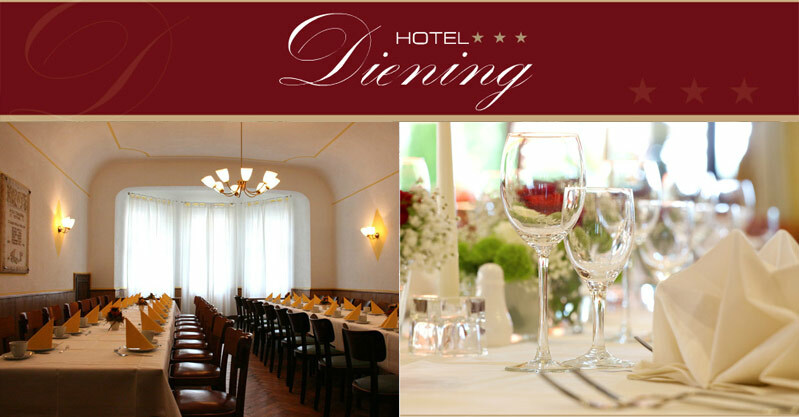 We're willingly help you at the implementation of your events in the Hotel Diening.